Shiva hours: from 2:00 to 4:00 and 7:00 to 9:00 p.m. daily through Wednesday evening . To You, Crainie's Children, grandchildren, sister, aunt and her dear friends.... Crainie was our friend and hung out with a group of us on Esplanade & Mt. Royal way back then. I never forgot her. Whenever we would meet over the years . it was always a warm encounter. She had a great personality, a great. sense of humor, & loved her family. My sincerest sympathies to the whole family. May all your fond memories of Cranie bring you comfort at this very sad time and always. My thoughts are with you. Expressing our condolences to the entire family during this difficult period. Dear Warren and Shawn, my sincere condolences. May your fond memories be a comfort to you in this time of loss. Our deepest condolences to the family on the loss of your mother and grandmother. We enjoyed a wonderful trip to Israel years ago with Cranie as a leader, full of life and always with a smile. May wonderful memories always keep her close in your hearts. Cranie was a kind and compassionate friend and wonderful company. Her love of life and her energy shone through everything she did. Especially she delighted in her children and grandchildren and was generous in sharing stories and photograghs. My deepest condolences to all the family. Cranies name will surely be for a blessing. Dear Warren, Shawn and families, My sincerest condolences on the loss of you mom. I have known her for many years and it was a terrible shock to hear of her passing . May her memory bring you comfort at this difficult time. Dear Warren, Our deepest sympathies to your family. Wishing you love and strength at this difficult time. Dear Warren, Shawn and family, My condoléances on the loss of your mother. May her memory be a blessing. Dear Shawn - I was so sad to hear about your mom. My sympathies to you and your family. Dear Warren- My deepest sympathies to you and your entire family on the passing of your Mother. Dear Tracy , Shawn and family My most sincere condolences on your loss. Our deepest sympathies. May you be spared further sorrow. Our deepest condolences on the loss of Crainie. May she R.I.P. Our deepest sympathies on the loss of Cranie. She was a beautiful lady Our thoughts and prayers are with you at this most difficult time. Dear Tracy and Shawn. My sincere condolences on the loss of you mom. Thinking of you during this difficult time. Dear Warren, Shawn and Family, My sincere condolences on the loss of your mother. May all of your special memories of your mom bring you comfort at this difficult time. Shawn, Tracey, Warren & Family, my deepest condolences on your loss. Shawn, Tracey, Ryan and family. We were sorry to hear of your mom/grandmother’s passing. Our deepest condolences to you. Dear Warren and family. I was truly saddened to learn of the passing of your mom. Please accept my heartfelt condolences at this very difficult and sad time. G-d bless. On behalf of myself and the rest of the staff at 5500 MacDonald, please accept our deepest condolences. Mrs. Werbitt will be greatly missed by not only the staff but all her neighbors in the building. Dear Warren and Shawn, My sincerest condolences at this most difficult time. So sorry to hear about the passing of your mom. May she rest in peace. Dear Warren and family, Please accept our sincere condolences on the passing of Cranie. She was so special with a big smile & an even bigger heart. May your cherished memories sustain you through this difficult time. Please accept my heartfelt condoléances on the loss of Cranie she was a lovely sweet lady. So sorry for your loss. Dear Tracy and Shawn, We extend our heartfelt condolences on your loss. May you know no more sorrow. Dear Warren and Family- Please accept my sincere condolences. Dear Shawn, Warren and families, Extending my most heartfelt condolences on the loss of your mother. May you find strength and comfort in one another during this most difficult time. To Warren, Shawn and families. My sincere condolences on the loss of your mother and grandmother. Cranie had a strong and feisty personality. I will miss her, our times together and our talks. Her grandkids were very important to her, she was so proud of them. My thoughts are with you. Dear Warren and Shawn, My heartfelt condolences to you and your family. Cranie was a special,caring lady. She held a very special place in my heart even though we did not see each other very often. She will be missed. Janice. To Warren and Shawn, my deepest sympathies on your loss. May you both be spared further sorrow. Dear Warren, Shawn & family, Our heartfelt condolences on the loss of your mother. May you find strength and comfort in one another and may your loving memories bring you peace during this most difficult time. Our most heartfelt condolences to the entire Werbitt family on your sad loss. Crainie & I go back more than 50 years to our Chomedey days. We’ve crossed paths many times over the years, most recently at the bridge table. Crainie was always happy, friendly, and with a smile for all. She will be missed. Judy & Mike Brandspigel. Warren and family, please accept our condolences on the loss of your mother. May her memories bring you peace and comfort. Dear Jerry, Shawn, Warren & Families. Please accept our sincerest condolences. Cranie and I always kept close. We spoke to each other often . We will miss her. We wish you all good health and long lives. Love you all, Pauline & Joel & Family. Shawn, Warren and family, deepest sympathies on your loss. Our heartfelt condolences to the Werbitt family.Cranie was a sincere and delightful person.She will certainly be missed at bridge.May she rest in peace. To Cranie‘s family. My heart goes out to you all at this very sad time. I feel fortunate that I had the chance to spend some Sunday afternoons at her house playing bridge or mahjong where she still managed to serve and offer us her own baked goodies. May the wonderful memories be a comfort at this difficult time. Dear Shawn and Warren. Please accept our heartfelt condolences on the passing of your mother. I have only fond memories of Cranie and hope your own memories ease your pain at this difficult time. Deepest sympathies to you and your families. I am so sad to read this.... I never knew Cranie through family, only knew her by name. I had the pleasure of getting to know her through bridge. She was always so kind and friendly to me, and spoke about her grandchildren with the highest regard. Mitch and I send our sympathies to you all. May she Rest In Peace. To the family of Cranie Werbitt, thinking of you at this time, my deepest sympathy. Dear Shawn and Tracy Please accept my sincerest condolences. Warren - my condolences to you and your family. Dear Warren, we wish to extend our condolences to you and your entire family. Dear Warren and Shawn I’m so sorry for your loss please except Nikki and my condolences for the passing of your mother all the best Oleg. Dear Warren and family, My sincere condolences on your mothers passing. There is nothing that can prepare you for the loss of a parent. May you find comfort in your family and friends during this time. Dearest Warren and Family, i knew your Mom many many years ago, she was a kind and loving soul, We are truly Saddened by your Loss, May you All be spared future sorrow! To the entire family, Cranie and I only met a few years ago. We both lived on Macdonald and also knew her from bridge. She was always a delight to talk to whether in the garage or at the bridge table. Please accept my sincere condoléance on your loss. To all of Cranie’s dear Family and loyal Friends, I was very sad to learn of Cranie’s passing. Sending my deepest condolences to all and may the happier memories help at this dark time. Warren, Shawn and Family, my sympathies to you at this difficult time. May you be spared further sorrow. My deepest sympathies to all. What a shock!I really had not idea that she was sick.She was my travel agent for many years and a very good one.May she rest in peace. Dear Warren, Shawn and families, My sincere condolences to you all on the loss of your mother and grandmother. Keep your memories close to your heart and hoping over time your sadness will turn to smiles remembering all the happy times of your lifetime together. Dear Warren and Shawn and families, we are so sorry for the loss of your beloved Mother. May she Rest In Peace. It is not easy to lose a parent we wish your family courage and strength and may your memories of your wonderful Mother keep her in your heart always. Sorry for your loss, Lennie & Yves Champagne. We were so sorry to hear of Cranie's passing. She was such an amazing woman who was a warm and caring individual and a friend to so many. She will be missed. We extend our sympathies to the entire family. To Crainie's Famly. I am still in shock over her death. I go back with Crainie over 50 years when she first got married to Donny. Spoke to her before I left for Florida and she said everything was fine and maybe I can play bridge with her when I came back. We lost a special lady. May she REST IN PEACE. Warren, Shawn, So sorry to hear about the passing of your Mom. My deepest condolences to you and your families. Deepest condolences to the whole family..what a shock to hear of her passing...loved listening to her stories about of you...May your fond memories help you through this time of sorrow. Warren, Shawn and the entire Werbitt family, my condolences on your very sad loss. I wish you only peace and solace during this time. Dear Warren and family, My sincerest condolences on the loss of your beloved Mother. To Crainies family.So sorry to hear about the passing of your mother.She lived for her children and grandchildren.She was never a complainer and always willing to go and do things.She will be greatly missed by all. Dear Shawn and all your family and all Cranie’s friends. So sad and shocked to read this notice of Cranie’s passing. My deepest condolences to everyone . Dear Shawn and all who loved Cranie.. I am shocked and very saddened to read of your great loss.. In 1980 Cranie was one of the first agents to join Premier Travel on Greene Avenue..Shawn you came to help her set up her desk and came by very often...we all worked well together... and then we were so happy to see each other at bridge...she was always a “with it.” person... she loved you all and that is her legacy... May she Rest In Peace...and may you take comfort in her memory... long life to all..
Dear Warren, Sean and her precious Grandchildren Please accept my most sincere condolences on the loss of your dear mom and loving bubbie. My heart goes out to u all. May you be spared further sorrow. To. Cranie's beloved family , I am sending my deepest sympathy. You were the sunshine of her life . Dear Cranie’s family ,deepest sympathy on the loss of your Mother. & Bubby,May she RIP. Dear Warren, Annie and Jon Our sincerest condolences on the loss of your mother and grandmother. Thinking of you at this time, Cindy , Josh, Max and Benji. Dear Crainie’s family, Like so many others, I met Crainie at bridge many years ago. I am very saddened and shocked by her passing. May you find peace in your memories of better times. Warren, Shawn and families. My condolences to you on the passing of your mother and grandmother . I am genuinely sorry for your loss. Dear Shawn and family, Please accept our heartfelt condolences on your profound Loss of Crainie. We knew each other since we were teenagers. We always had a good laugh about something. We wish you no more sorrow. Dear Warren, Shawn and family, please accept my sincere condolences on the loss of your mother. I am very sad to hear about Crainie . Crainie's family and my family we're friends and neighbors on Mclynn Ave. My sincere condolences to her family. My deepest condolences to Cranie’s family. I’m still in a daze looking at this obituary and having a problem believing it’s Cranie’s. We grew up together as kids on Clarke street then on McLynn. We had great times and many trips together. What a wonderful baker she was. Will miss her. !!!! I was shocked to hear about Cranie. PleSe accept my sincere condolences. She will be missed. To Cranie's family. I offer you my sincerest sympathies on your profound loss. I have known Cranie for many years but lost touch over time and reconnected several years ago at the bridge club. I would look forward to the times when I would get to her table and she would hand me her famous chocolate bark which she had baked that week. She knew how much I loved chocolate. The last time that I tasted her wonderful baking was at her apartment not very long ago when she served her delicious mandel bread as we were playing mahjong. She will be missed. May her memory be for a blessing. My deepest condolences on th eloss of a woman who adored and loved her family. She was a strong woman with a strong will. We laughed together; we shared. We will miss her jovial greetings and warm hugs. Crainie/Crainy deserves to rest in peace. She wil continue to love and be a "behter" for those she loved. Dear Warren, Shawn and family, Please accept our deepest condolences on the loss of your mom. May your family be spared any further sorrow. To all of Cranie's Family, It is with a very heavy heart that I send you my deepest sympathies. Cranie was quite a unique woman and I shall miss her. To her Grandchildren, you were the sunshine in her life and she was so proud of each and every one of you. I hope memories of your happy times will be a comfort in the coming days. Peacefully, with her children by her side, on Saturday, March 30, 2019. Daughter of the late Victor and the late Edith Wolfe. Beloved mother and mother-in-law of Warren and Nicole Authier, Shawn and Tracy Krane. Cherished Bubby of Annie, Jonathan and Ryan. Dear sister and sister-in-law of Jerry and Sharon Wolfe. Aunt to Daniel Wolfe. Cranie will be greatly missed by her family, friends and all who knew her. The family wishes to express their gratitude to her devoted and compassionate doctors and nurses at the Palliative Care Unit at the Jewish General Hospital. 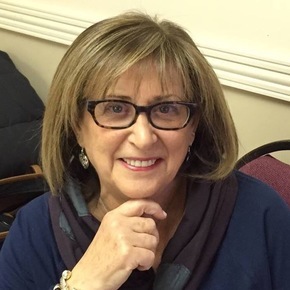 Funeral service from Paperman & Sons, 3888 Jean Talon St. W., on Monday, April 1 at 2:00 p.m. Burial at the Haboneh Hahofshi Section, Kehal Israel Cemetery, D.D.O. Shiva at 1880 rue de Cognac, Saint-Laurent H4R 3A9, from 2:00 to 4:00 and 7:00 to 9:00 p.m. daily through Wednesday evening. Donations in Cranie’s memory may be made to the Hope & Cope Fund c/o the Jewish General Hospital Foundation, (514) 340-8251.